Sign up and get your Starter Kit HERE...but make sure you do it no later than 11:50pm MT TONIGHT (6/30/16) to get the additional TWO FREE STAMP SETS!!! CHOOSE ANY TWO STAMP SETS OF YOUR CHOICE FOR FREE!!! There is NO OBLIGATION to sell to anyone else after you buy the Starter Kit, and you get at least 20% OFF all your retail purchases as a demonstrator. There's also no shipping charged for your Starter Kit. If you buy it in June, that means you choose up to $125 in merchandise of your choice (like a shopping spree! ), PLUS you get a free past Paper Pumpkin Kit (of SU! 's choice) with your order, PLUS you get to pick any two stamp sets you want on top of that, for FREE! So, theoretically, if you chose the two most expensive sets available in the catalog, the value of those two sets would be over $100, which means the merchandise you would get in your Starter Kit would be a total value of over $245, plus you would save an additional almost $25 because of the FREE SHIPPING...and you'd only pay $99 plus the tax for your area! That's like getting about $170 in value for FREE!!! I hope you can see how buying the Starter Kit can simply be a no strings attached SUPER SHOPPING BARGAIN if that's what you want! And, let's say you decide you would like to do a little more than just getting a great deal...the Starter Kit comes with a bundle of business supplies, including 8 Annual Catalogs, some order forms, invitation postcards, and more (an additional $50 value). 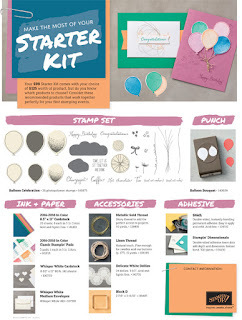 So, there's nothing stopping you from gathering with your friends when your Starter Kit arrives, making a few simple, fun projects--and taking orders. You get at least 20% commission from the orders, and you can also be your own Host, and qualify for Stampin' Rewards! 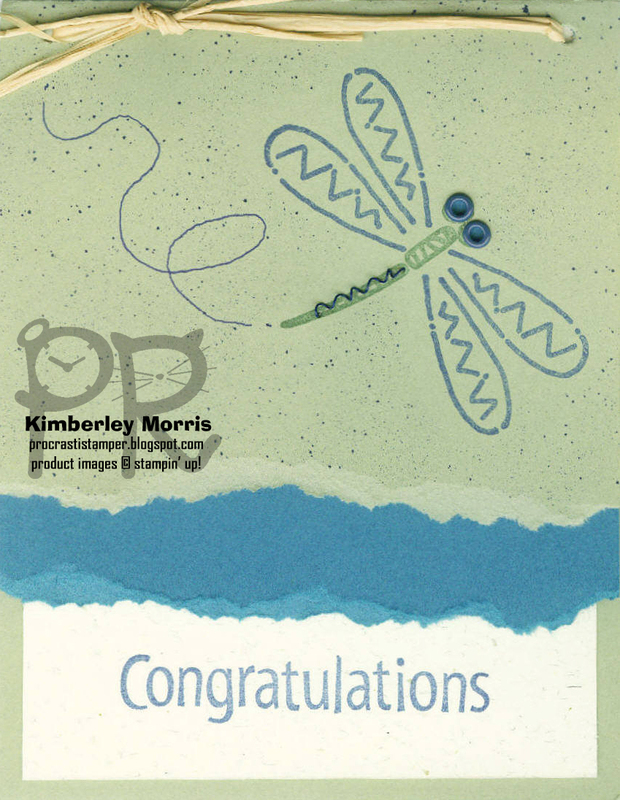 If you think you'd like to jump in and have a few Stampin' Up! events to earn back the cost of your kit, and/or make some money to fund your own future purchases, or even create a part-time or full-time income, this PDF (pictured below) shows a suggested group of products you might choose, that work well together to create projects! Of course, you get to pick whatever you want in your Kit...this is just a suggestion. 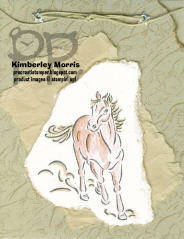 Just a quickie today (lol)...I saw a design over at CAS(E) this Sketch! and knew I wanted to use my new Foxy Friends stamp set for it. You can see a picture of the sketch just below the picture of my card. Doesn't that little fox look wonderfully chill in the setting sun?? Maybe it's the mushrooms. HAHAHAAA!!! The Foxy Friends stamp set can also be purchased in a BUNDLE along with the Fox Builder Punch, for a 10% savings. Although I bought the bundle, I didn't use the punch on this card. I just stamped the fox and cut it out, although I did cut away the stamped tail and tuck it under the opposite side of the fox. 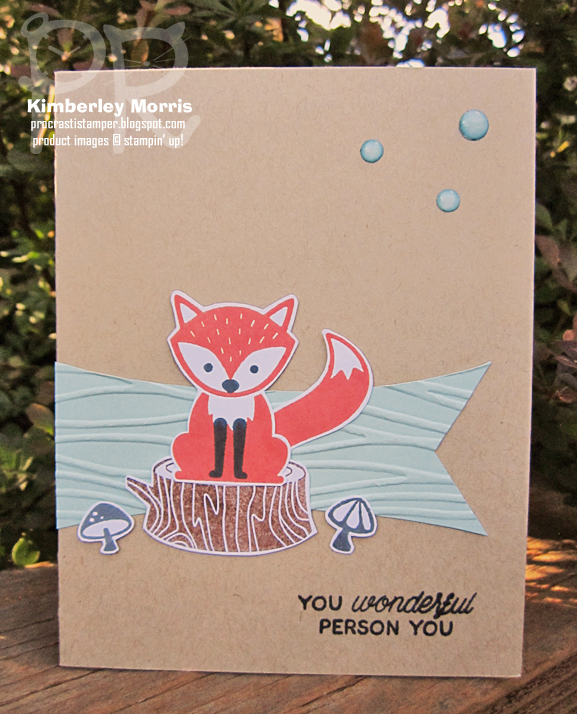 The color scheme was based on the coordinating A Little Foxy Designer Series Paper Stack. 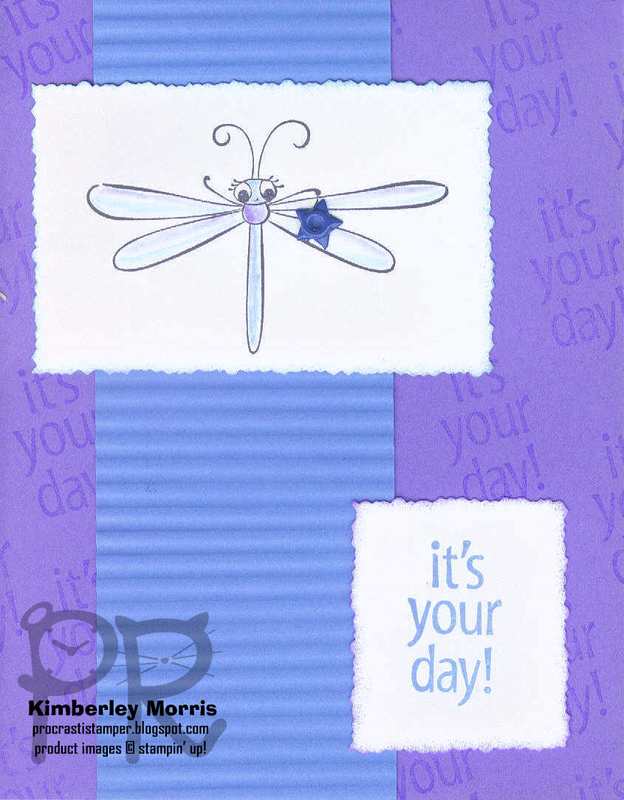 I used the Designer Tin of Cards stamp set for the greeting. For that banner, I cut a strip of card stock to 1-1/2" wide and punched the end with the Triple Banner Punch. Then I sort of eyeballed a curved cut from the tip of the banner to the end of the piece on one side, and used that cut out piece to place on the other side to trace the curve onto the other side to cut out. Stampin' Supplies: Foxy Friends stamp set, Designer Tin of Cards stamp set, Whisper White card stock, Crumb Cake card stock, Pool Party card stock, Calypso Coral ink pad, Basic Gray ink pad, Memento Tuxedo Black ink pad, Chocolate Chip ink pad (stamped off once for the tree stump), White Perfect Accents (colored with two colors of Sharpies to get something that looks--hopefully--like Pool Party! 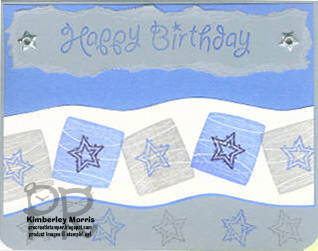 ), and the NEW Seaside embossing folder. 1) My understanding is that a first-time subscriber is determined by the email address you enter at sign up. If the email address has never been used to sign up for Paper Pumpkin, or if you have entered the email address but never actually took delivery of a kit, you are considered a first-time subscriber and this promo code should work for you. 2) To qualify to use this promo code, you will need to sign up for a Monthly Subscription and enter the promo code at my site HERE, by the deadline of 11:50pm MT on June 10th 2016. If you are already a subscriber of mine, please remember that if you want to update your payment or delivery information, or for some crazy reason skip this month's kit (lol), the same deadline applies to your account management at that same link. 3) I believe, even if you have not yet taken delivery of your first month's subscription, if you have entered a Prepaid Subscription to use on your Paper Pumpkin account, you will not be able to use the promo code. That's because you can only have one promo code on at a time, and I don't believe you can remove a Prepaid Subscription code once it has been entered. But as I said...I have something special to offer ALL my subscribers who take delivery of the June kit! 4) You can always choose more than one kit per month, by changing the quantity you desire on your account. However, if you have entered a promo code or Prepaid Subscription code, the code works only for the first kit you receive that month. You'll need to purchase additional kits at the regular $19.95 price. Just to be clear, let's say you are a first-time subscriber and you want TWO kits in June--you'd enter the promo code to get the first one at $5, and then you'd need to ensure you have a payment form entered on your account to which the second kit can be billed, and your total would be $24.95 for the two kits in June. June Kit Sneak Peek!!! 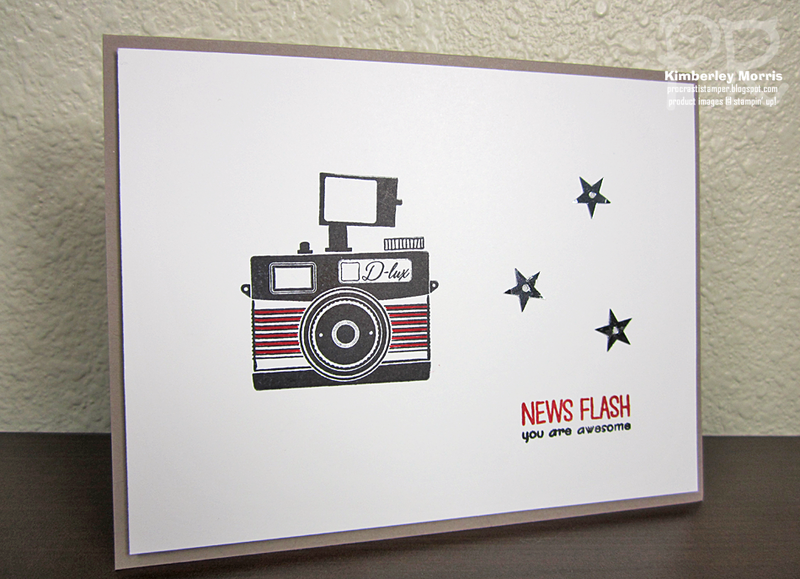 We rarely get to know what's coming, Stampin' Up! 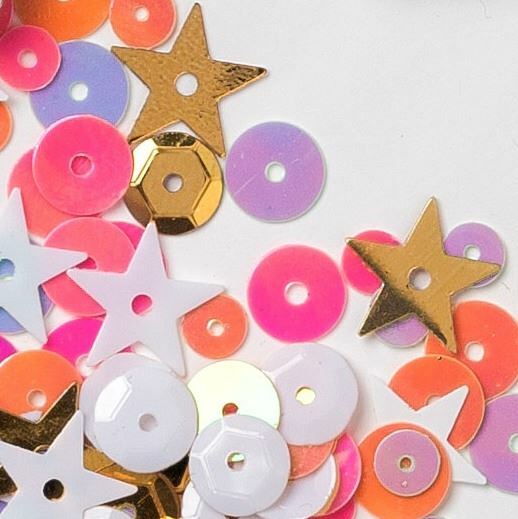 just today released this picture of the confetti that's going to come in the kit. Does that mean it will have shaker cards?? I have no idea, but that confetti is ADORBS! My Special Offer!!! EVERYONE who takes delivery of the June Paper Pumpkin kit through me, whether it's through the promo code, a Prepaid Subscription, first-time or otherwise...gets a FREE GIFT! It's gonna be a surprise, the surprises are not all going to be the same, but I will tell you that ONE person will be randomly chosen to receive a promo code for ONE FREE MONTH OF PAPER PUMPKIN!!! I know, it's still Wednesday, but I came across these old card pictures on my hard drive that it looks like I scanned in 2004...and I just had to put them up NOW. Lol. The first couple of them are kinda small and will have to stay that way so I don't pixelate them, but I think you can still see the details. You should be able to click on the rest of them to see them larger if you want. When you're done laughing, you might want to check out the NEW 2016-17 Annual Catalog products in my Online Store, or you can click for the PDF HERE. 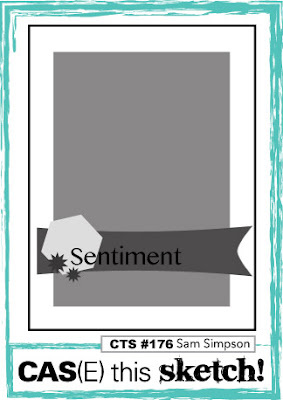 You can find the Pun Intended stamp set in the NEW 2016-1017 Stampin' Up! Annual Catalog, in the Just for Hosts section on page 200. 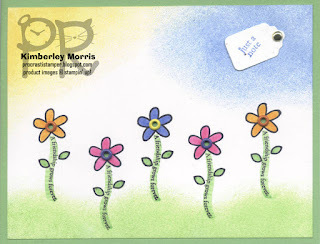 And during the month of June, you can get $35 EXTRA Stampin' Rewards with a qualifying order!!! Stampin' Supplies: Pun Intended stamp set, Whisper White card stock, Tip Top Taupe card stock, Basic Black Archival ink pad, Basic Black marker (for lower words in greeting), Basic Black card stock (for bottom banner on rainbow card), Triple Banner Punch, Real Red marker (to highlight lines on first camera), Real Red ink pad, Pumpkin Pie ink pad, Daffodil Delight ink pad, Emerald Envy ink pad, Dapper Denim ink pad, Rich Razzleberry ink pad, Sponge Daubers, Sunburst Thinlit (to use for a stencil/mask), Metallic Sequins, Fine Tip Glue Pen, Stampin' Dimensionals. 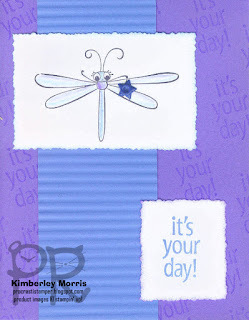 NEW 2016-17 Stampin' Up! 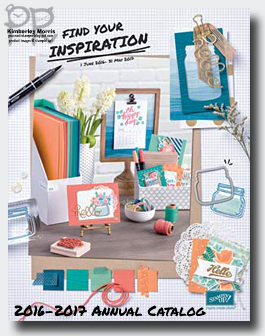 Annual Catalog + TWO Specials in June! 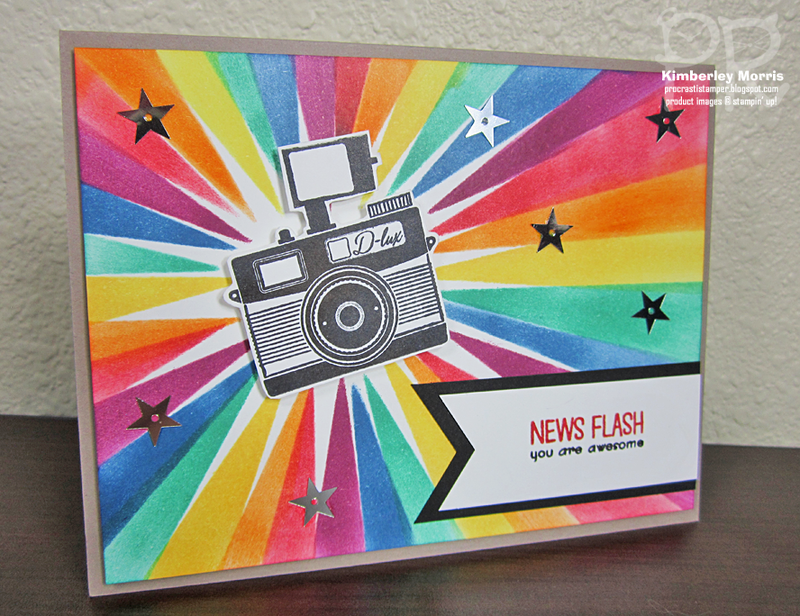 The 2016-2017 Stampin' Up! Annual Catalog is OPEN for ordering!!! There are tons of great new products Bundled in the catalog for 10% OFF EVERYDAY! 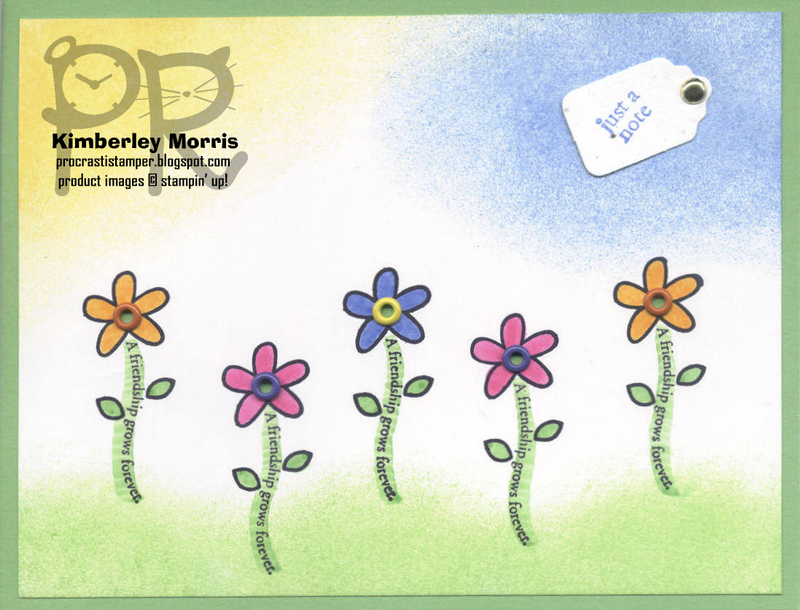 There are also several fabulous Project Kits, a couple of them include stamp sets, and others have coordinating stamp sets. I've typed it all up for you so you don't miss any deals--just download my handy flyer below, then click on the catalog image to view or download the catalog, and get started making your Wish List! 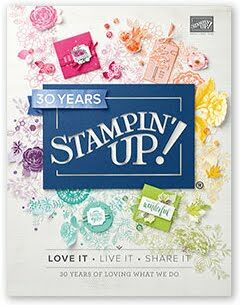 And that's not all...you can apply Stampin' Rewards dollars to your Starter Kit, and when you Become a Demonstrator during June, you get TWO FREE STAMP SETS of your choice!! !